William McVicar, Ph.D., was appointed CEO in July 2017 after joining Flex Pharma in April 2017 as President of Research & Development. 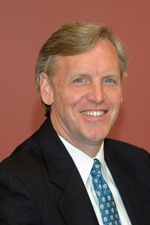 Dr. McVicar brings to Flex Pharma approximately 30 years of clinical development experience. Prior to joining Flex Pharma, Dr. McVicar served as Executive Vice President of Pharmaceutical Development, Chief Scientific Officer, and President during his tenure at Inotek. As Vice President of Development Operations at Sepracor, he oversaw the development, FDA review, and approval of multiple NDAs and SNDAs, including BROVANA®, XOPENEX MDI®, and XOPENEX’s pediatric approval, which were each approved in a single 10-month review cycle. Prior to Sepracor, Dr. McVicar held various positions of increasing responsibility at Sandoz, Novartis and Rhone Poulenc Rorer. Dr. McVicar earned his B.S. in Chemistry from the State University of New York College at Oneonta and his Ph.D. in Chemistry from the University of Vermont. Peter Hutt is a Partner in the Washington, D.C. law firm of Covington & Burling specializing in food and drug law. Mr. Hutt served as chief counsel for the U.S. Food and Drug Administration (FDA) from 1971 to 1975. He is the co-author of the casebook used to teach food and drug law throughout the country. He has been a member of the Institute of Medicine (IOM) since it was founded in 1970 and currently serves on the IOM board on healthcare services. He was named by the National Law Journal as one of the 40 best healthcare lawyers in the U.S., and by the European Counsel as the best FDA regulatory specialist in Washington, D.C.
Mr. Hutt graduated from Yale College and Harvard Law School and obtained a master’s degree in Food and Drug Law from NYU Law School. Mr. Kozin brings more than three decades of experience in strategy consulting and deep industry expertise advising biopharmaceutical, life sciences and med- tech companies. He is a Senior Advisor to L.E.K. Consulting, a global strategy consulting firm, and the former President of the North American practice, which he led for 15 years. Mr. Kozin received his M.B.A. from The Wharton School and his B.A. from Duke University. As a seasoned executive with more than 25 years of experience in the life sciences industry, Mr. Randle most recently served as President and Chief Executive Officer of GI Dynamics from 2004 to 2014. 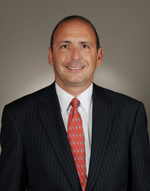 Previously, he served as President and Chief Executive Officer at ACT Medical. Prior to ACT, Mr. Randle was Corporate Officer at Allegiance Healthcare Corporation. He started his career at Baxter Healthcare, where he spent 10 years in various senior management positions. Mr. Randle holds an M.B.A. from The Kellogg Graduate School of Management and a B.S. from Cornell University. Michelle Stacy has served as a member of our board of directors since March 2016. As the former president of Keurig, Inc. and former vice president and general manager with Gillette/P&G, Ms. Stacy brings to the board of directors a wealth of experience leading consumer businesses and building global brands. During her five-year tenure at Keurig Inc., a division of Keurig Green Mountain, the company's revenue grew from $493 million in FY2008 to $4.3 billion for FY2013. Ms. Stacy sits on the Board of Directors of iRobot Corporation, Coravin Inc., Young Innovations Inc. and the nonprofit French Cultural Center. 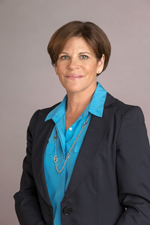 Ms. Stacy is also a Director Advisor to The Cambridge Group (an AC Nielson Company) and is a professional speaker on leadership, innovation and growth. She received a M.S. in Management from J. L. Kellogg Graduate School of Management - Northwestern University, and a B.S. from Dartmouth College. We believe that Ms. Stacy is qualified to serve on our board of directors given her broad marketing, senior management and leadership roles in consumer companies. 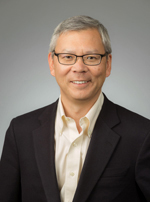 Dr. Roger Tung, Ph.D., is scientific Founder, President and CEO of Concert Pharmaceuticals. Before Concert, Dr. Tung was a founding scientist at Vertex, a pharmaceutical company, where he was employed from 1989 to 2005, most recently as its Vice President of Drug Discovery. 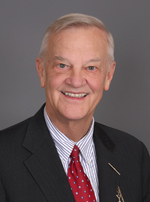 Prior to Vertex, he held various positions at Merck, Sharp & Dohme Research Laboratories, a global healthcare provider, and The Squibb Institute for Medicinal Chemistry. Dr. Tung holds a B.A. in chemistry from Reed College and a Ph.D. in medicinal chemistry at the University of Wisconsin-Madison.